Preserved Lemons are everywhere these days. Everyone is making them. My question is...what are they doing with them? 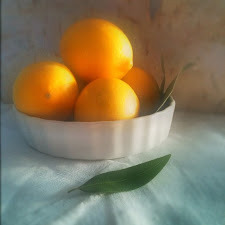 When I originally made these lemons I thought I would post the recipe for making them, but I have seen so many posts on how to preserved lemons lately it just seemed a little redundant. One thing I noticed in every one of those posts is that someone left a comment asking what to do with them. The reason I made them is my recent fascination with Harissa has let to a fascination with Moroccan food, which has let to...Preserved Lemons! The method I used to make mine was from Hunter, Angler, Gardener, Cook. I recommend you head over there if you are still looking to make your lemons, Hank has several methods for preserving as well as some suggestions for how to use your lemons. For those of you with a jar in hand I will provide you with some of the recipes and resources for what I plan on making with my preserved lemons. The reason I made my lemons was for this Moroccan Carrot Salad recipe. I have been making a similar one without the lemons. I can't get enough of them. A Preserved Lemon search on the Food52 site pulled up several pages of great sounding recipes including a Preserved Lemon and Thyme Compound Butter that would be good on a variety of meats or veggies, maybe even warm bread. 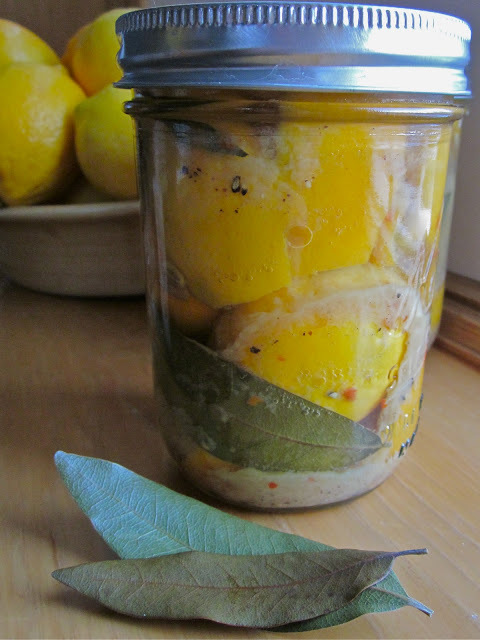 Shae at Hitchhikng to Heaven posted this great story about Vietnamese Preserved Lemons. It also includes a cure for the common cold which is all too common this time of year. She also posted a link on Facebook for a great Moroccan Style Guacamole Recipe that contains preserved lemons. The guacamole recipe let me to Kitchen Caravan which has several tempting Preserved Lemon recipes including a Tuna Salad that will be going with me to work next week, and a Martini (not at work) to go with that guacamole above. 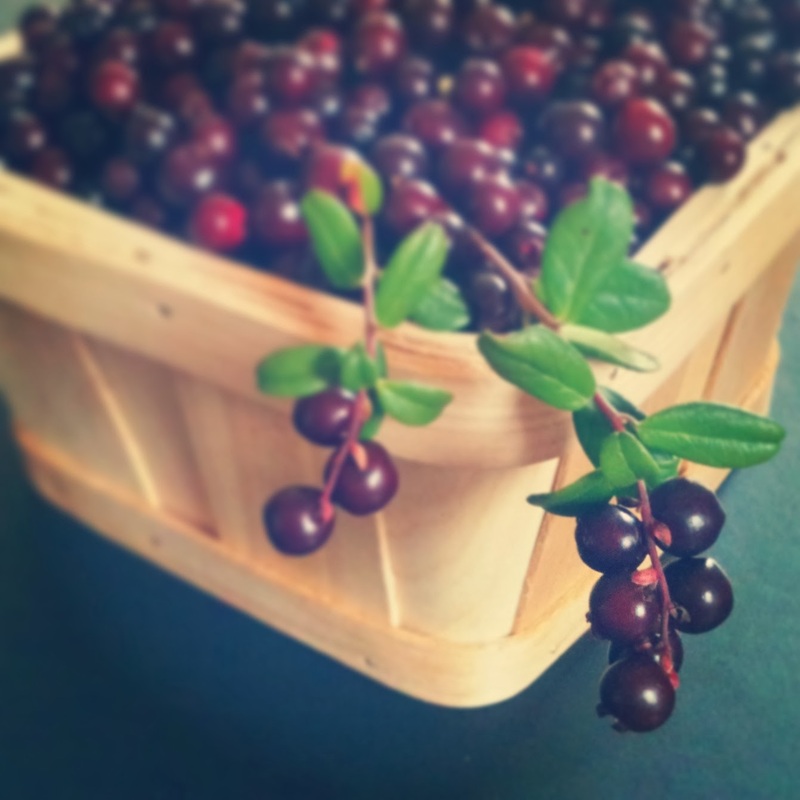 They serve Preserved Lemon Relish with Turkey on Leite's Culinaria. I see Harissa Salmon with this relish in my future. Speaking of Preserved Lemon Relish, how about a Harissa Onion Dog with Preserved Lemon Relish? Not into hot dogs? Me neither, but there are another 20 recipes for Preserved lemons on Epicurious. Hope you found something you like. Please feel free to add your favorite uses for Preserved Lemons in the comments section. Recipe links are encouraged. Looking forward to checking these out. My first batch of lemons should be ready in about a week. Middle Eastern recipes call for them some. Zamourispices.com is a good place to start. I am writing up a post for preserved lemons at the moment, didn't realise how common they were! Yours are lovely, very colourful with the leaves. I also love making my own preserve lemon as I cook a lot of Maroccon food. I love adding preserved lemon to many different dishes, it gives exactly the right amount of tang! You are so right that they seem to be everywhere! How did I miss your post and the source you used to make them?? I've got my eye set on quite a few recipes if mine turn out this time, but recreating a dish with lamb shanks I made a few years ago with regular lemons is tops. 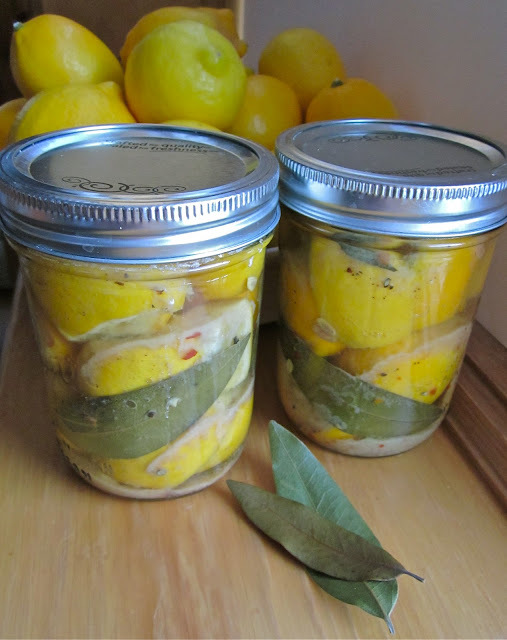 great round up of uses for preserved lemons! i made a big batch last year woth lemons i got in LA, then ended up wasting them because i ever used them. i just made a smaller jar of preserved meyer lemons and a small jar of preserved blood oranges, just for kicks. i'm gonna try some of these links: esp the moroccan carrot salad, as i've also got some harissa that needs to be used. great post! Miriam- I have been looking for lentil recipes lately. I will definitely have to use the translator, but that recipe looks really good. Dani- Let me know if you try any of them. I'd love to know how they turn out and anything else you find along the way. justgrams-Thanks for the link, I'll check it out for sure. Nicisme- Shortly after I made mine I started noticing them everywhere. This is a good thing though, hopefully it will help me find more uses for them. Elra- What are some of your favorite Moroccan recipes? Maria- Do you have a favorite you could share? Stacey- So jealous of your lemon tree. You should definitely give them a try. 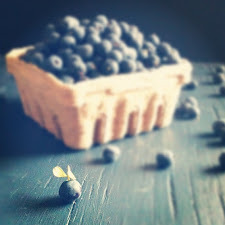 kellypea- Can I find the recipe on your blog? ohbriggsy-Thanks. I also only made a small batch to see how much I would like them. Thanks for the round up! 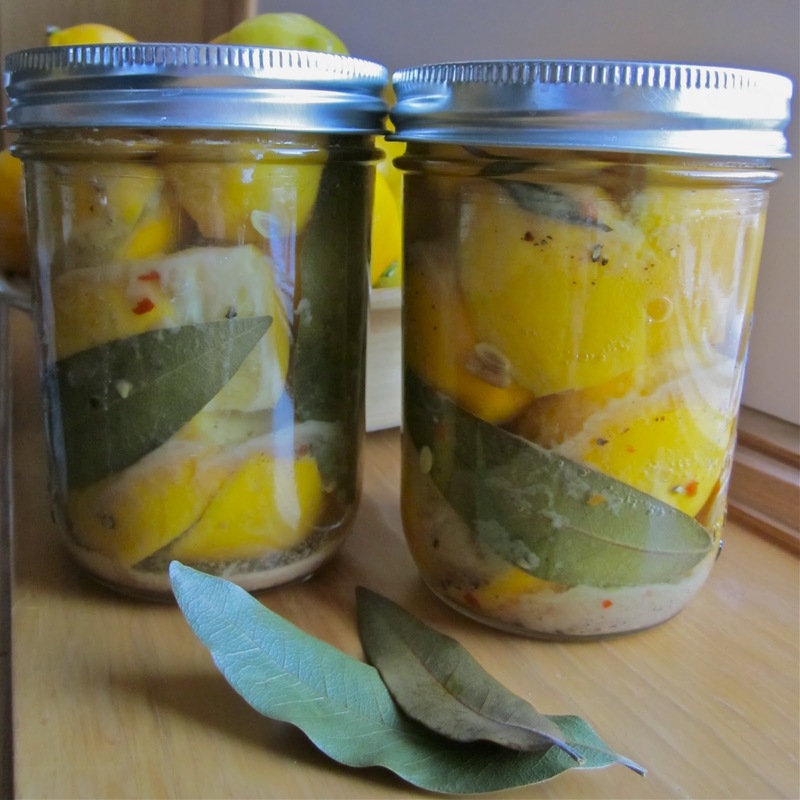 I love preserved lemons and can't wait to try some of these recipes! My favorite is in hot pasta with chickpeas & parsley or cold pasta (tortellini usually) with spring veggies. I've only ever bought preserved lemons. I never knew how easy they were to do at home. I'm definitely starting a batch this week and I'll try some of these recipes. The Israeli Couscous is first on my list. oh i thought they were just for looks! i didn't know you would really do anything with them! Great post! I'm 2 weeks into my first batch of preserved lemons, and noticed that as time went by, these light green cottony clouds started to form. I notice them in your batch as well. My first thought is that I messed it up somehow and had some fungus growing in my jar. Do you know what this is? thanks! 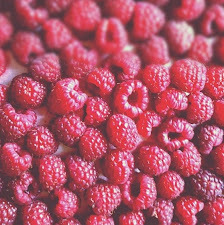 This photo was taken only a few hours after canning them. I think what you are referring to is just the salt. If you are finding something growing after a few weeks you might want to proceed with caution.